“I am Ivan. I am a gorilla. Ivan lives at the Exit 8 Big Top Mall and Video Arcade, with his companions: Bob, the mongrel dog who likes to sleep on Ivan’s stomach at night; and Stella, the wise, gentle elephant. It’s not such a bad life for Ivan; he makes paintings (for sale in the gift shop) and thinks very little about his old home in the jungle. It’s too sad, you see. It’s best not to remember. Ruby is still a baby, a tiny elephant taken from her family in the wild. She’s not too sure what’s going on at the mall yet, and she’s missing her family terribly. Something about having Ruby around wakes Ivan up a little, actually: he starts to feel differently about his home at the Big Top Mall. Ruby brings big changes to Ivan’s life; she makes him want to be brave again. Ruby helps Ivan remember what family is. 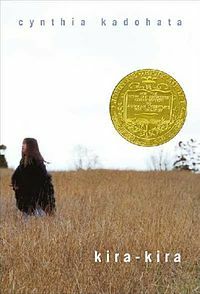 I’ll go ahead and say it: sometimes books that win the Big Awards (the Newbery, or the Printz, for example) are more about what we think kids should read than what they will like reading. They may be undeniably well-written and creative, and about important topics, but…sometimes they’re not so fun. This book, though, is one that everyone will want to read. I hate gorillas. Seriously. I’ve had a phobia of them since childhood. I see all primate species as germy, suspicious, and liable to bring us all plague. For me to voluntarily pick up a story told by a gorilla is an occurrence similar to a lunar eclipse, actually. But Ivan had me crying during rush hour on the subway, and falling off curbs trying to read and walk at the same time. Ivan speaks in short, contemplative sentences. His observations are both poignant and funny, while his love for Ruby is heartbreaking in its tenderness. The book is short and uncluttered with excessive detail or exposition; it’s merely Ivan’s observations, and it’s absolutely perfect. I moved it right away to the All-Time Awesomest List and I hope I’ll be able to share it with others and read it aloud without crying, because it’s that good. 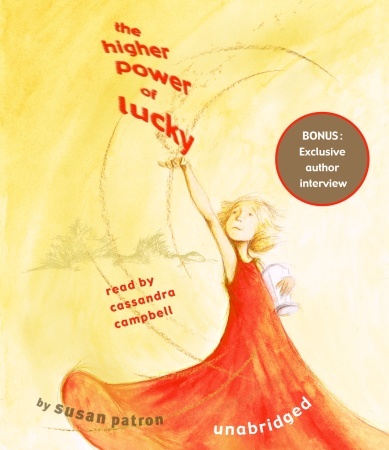 It’s made for reading out loud, that’s for sure: children as young as first grade or so can understand the prose, while even adults will be captivated with this redemptive story. I promise, you’ll love it. 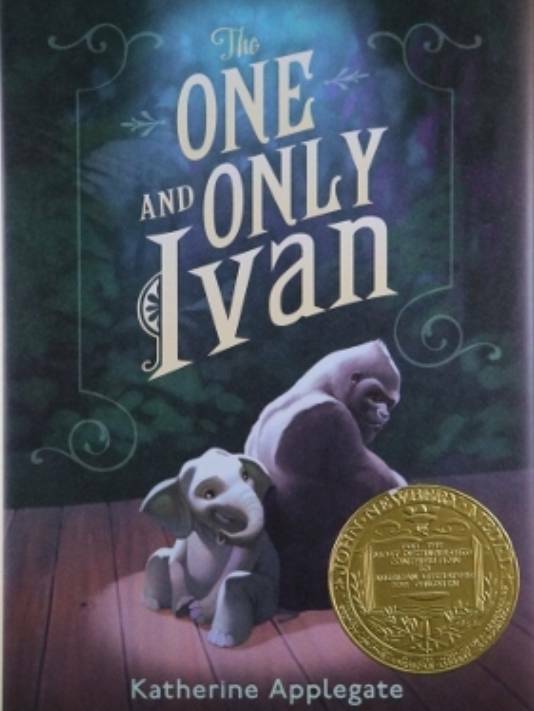 Even if you hate both reading AND gorillas, you’ll love it, and here’s why: Ivan’s more human than even humans are, and this book is short, simple, and so beautiful. You can’t help but love it. Oh, and bonus fun fact: Katherine Applegate is also the author of the Animorphs series. Remember? The series about alien slugs crawling into people’s brains and giving them the power to transform into amazing animals! So she’s clearly multi-talented! Applegate, Katherine. The One and Only Ivan. HarperCollins: New York, 2012. 305 pp. Fourteen-year-old Manjiro wants to be a samurai, but in nineteenth-century Japan, there is no changing one’s family job. Fishing is his destiny, even if he wishes for more. However, when Manjiro and his fishing mates are stranded on a deserted island, and then picked up by a whaling ship, he finds more adventure than he could have imagined. There is a great price, though: even though he will travel the seas and live in America, he will never be able to return home. The custom in Japan at the time was to remain completely isolated; no foreigners are admitted, and citizens who leave may never come back. Though Manjiro has ten years of adventures, including panning for gold, learning to make barrels, horse racing with his classmates, and living with his adoptive family, he simply longs to return to his home and his blood family. Will he ever find his way home again? 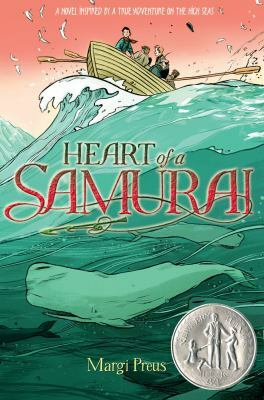 This Newbery Honor book has the distinction of being based on a true story: there was a real Manjiro, who was really picked up by the John Howland, an American whaling ship. According to Margi Preus, Manjiro was the first know person of Japanese heritage to reach America! Included in this book are actual sketches of his, and some real words from his diaries. 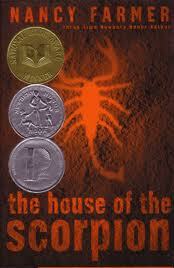 I enjoyed the factual aspects of the story, especially such an intriguing and unusual one. Younger readers will appreciate the beautiful black and white illustrations, and the detailed historical notes, glossary, and explanations of the Japanese calender and time systems will please teachers. This book seems made for the classroom! Preus, Margi. Heart of a Samurai. Amulet Books: New York, 2010. 301 pp. Ages 10-14. I’m sorry, the author’s website does not seem to be up and running right now! I’ll keep checking and bring you the link when it is. If you liked this book, more great historical fiction awaits! Try One Crazy Summer by Rita Williams-Garcia, Turtle in Paradise by Jennifer Holm, or Bud, Not Buddy by Christopher Paul Curtis.